Malta is proud to host once again the Rolex Middle Sea yachting race which takes place in the heart of the Mediterranean Sea and covers one of the most beautiful yachting courses in the world. The offshore exciting race kicks off on the 22nd October 2016 in the beautiful clear waters in the Grand Harbour of Valletta. Unique for a race of this length in that it starts and finishes in the same place, the 606-mile route starts in Malta’s magnificent Grand Harbour and also ends there. This race runs by incomparable scenery and is a true challenge to skippers and crews who have to be at their very best to cope with the often unpredictable and tough conditions. 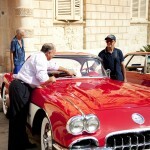 Malta Classic is a four-day classic car event celebrating vintage style against an historic backdrop. 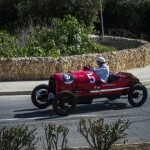 On Day One, the Malta Classic opens with the Thomas Smith Hillclimb—a pure adrenaline rush of cars racing to climb a magnificent limestone hill overlooking the Mediterranean Sea. 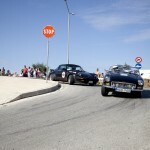 On Day Three the challenging circuit outside Mdina’s fortified walls awaits. Cars are put to the test on a track of tight bends, sweeping curves and inclines that wind their way through a valley of vineyards and terraced hills outside Mdina. 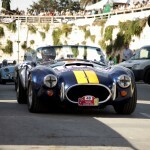 Fast, accelerating and beautiful—The Malta Classic Grand Prix is loved by drivers and spectators alike. Day Three comes to a close with timed drives to determine the starting order of Sunday’s grid. On Day Four the real racing begins. 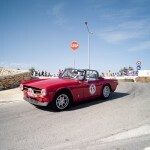 Packs of 8 to 10 cars take to the circuit in a thrilling race to the finish line, as the unforgiving nature of the Malta Classic circuit brings out the very best of performance by both drivers and their classic racing automobiles. Carnival 2016 – That time of the year again! Carnival in Malta is a colourful extravaganza of huge artistic papier-maché floats parade through the streets of Valletta, accompanied by boisterous brass bands and a cacophony of dancers and revellers in outrageous costumes. By night the party continues in the clubs and bars of Paceville. In Nadur, Gozo, carnival takes on a zany and yet macabre mood, with grotesque masks and satirical floats parading through the streets of the town at night. Built by the Knights of St John after the Great Siege of 1565 and consequently adorned by its eight langues, Valletta not only had to serve as a powerful fort, but was also to become a strongpoint of culture, economy and politics in the world. Embellished at the height of the baroque period, Valletta rose to become a city built by gentlemen for gentlemen. The Valletta International Baroque Festival has been conceived purposely as a celebration of this baroque identity of Valletta. For two weeks, between the 16th and the 30th of January 2016, Valletta will resound with music from the period when it was built. For more details, visit http://www.vallettabaroquefestival.com.mt. Hill Climb at Mtahleb & BBQ onsite. 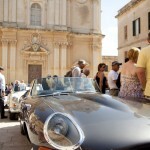 Following the fantastic success of the Mdina Glass Concours d’Elegance last year, this glamorous event will once again be held in Mdina. The Island’s best classic cars will be joined by our overseas participants, and a festive atmosphere is guaranteed, with live classical music and owners in period attire. 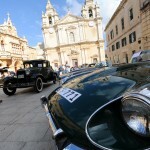 The Paddock area will be situated in the Mdina ditch together with various activities and static shows. This years’ edition of the airX Malta International Airshow is set to be the biggest edition ever organised. The public will be treated to 4 aerobatic teams; the Italian Frecce Tricolori, the Spanish Patrulla Aguila’, the Turkish team Turkish Stars and the RAF Red Arrows. This, along with other flying displays such as a Swiss F18, Belgian F16, Czech L-159 alca, as well as the participation of a total 13 countries, will make this years edition of the Airshow the biggest one so far. The airX Malta International Airshow, which will be held on the 27th and 28th of September 2014 is expected to attract thousands of aviation and photography enthusiasts from all over the world. Read more at the airX Malta International Airshow website. The village of Siggiewi is known for its agricultural heritage, it’s picturesque bay and the stunning views from Laferla Cross. This same hill that hosts one of the island’s most important landmarks, also hosts numerous vineyards that produce award-winning wines. For the third year running, the village will be hosting Festa Gheneb – a feast celebrating the crop and its main product – wine. Cuddled in the village’s main square, under the imposing statue of Saint Nicholas, Siggiewi will once again welcome locals and foreigners to enjoy the traditional art of wine making and taste some of its best produce. The festival is to be held on Saturday 23rd August and visitors are welcome to join in from 7:00pm onwards. Entrance to the event is free of charge. The Farsons Beer Festival is ready to celebrate another summer in a 10-day traditional festival held at Ta’ Qali Park. Featuring the best in local and international award-winning beers, the festival is also a great opportunity to enjoy live music with Malta’s best line-up of musicians and artists. At the Farsons Beer Festival you cannot miss the popular local brand of lagers and ales; the Cisk. This range of Maltese beer includes Cisk Lager, Cisk Export Premium Lager, Cisk Chill, Cisk Excel Low-Carbohydrate Lager, and classic brews such as Hopleaf Pale Ale and Blue Label Ale. The festival also features a range of international beers and ciders including speciality brews from the UK. With over thirteen bars, sixty draught installations and fourteen local and international award-winning beer brands, the Farsons Beer Festival, Malta’s largest outdoor event of the year, is truly a celebration of the best beers on the island. Since 1981, the Farsons Beer Festival has been building a reputation of showcasing top Maltese artists and bands. This year, a selection of talented local and international musicians will perform on two stages every night within the unique setting of Malta’s National Park. Enjoyed by people of all ages, the open-air Festival is a safe and great family outing or night out with friends and with free entrance and parking provided, it is the summer event not to be missed. The Festival runs from Friday, 25th July to Sunday 3th August 2014, and opens at 8pm every night.